This spring, Tablelist is taking Senior Week to the next level. 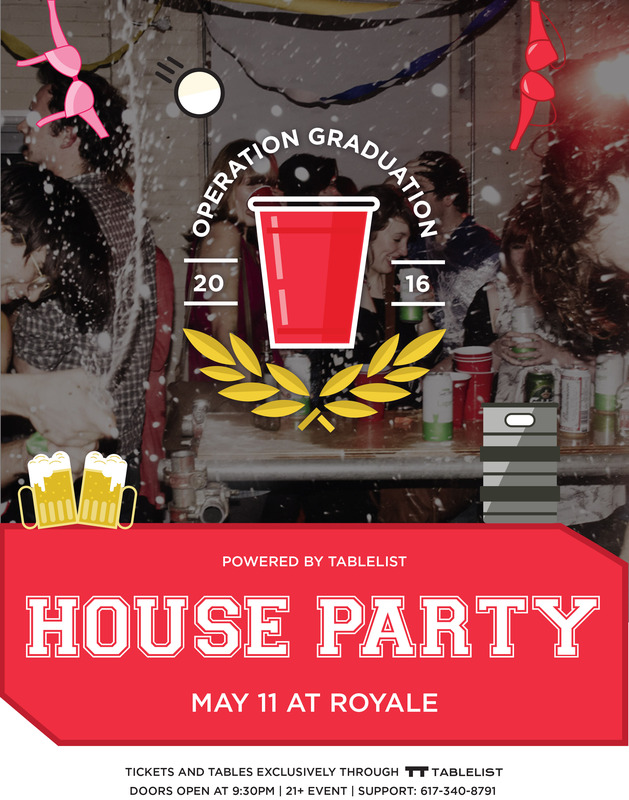 It all leads up to the Operation Graduation House Party, the biggest house party to ever be thrown in Boston. It all goes down May 11th at Royale Boston. Be there! Spring in the city means time to celebrate. How? With the most epic house party of all time, putting your years of college raging to the test. What to expect: Graduation shenanigans. Kegs, red solo cups, bras hanging from the ceiling. Early bird tickets are on sale now, and VIP tables and exclusive packages are available to book. Questions about this event? Email us at hello@tablelist.com, or text one of Tablelist’s 24/7 concierges at 617-340-8791.